9mm German Briar Brass Ring Churchwarden Pipe - Unique tapered churchwarden stem is in two pieces with a decorative double ring brass connector. The dark brown pipe bowl is artistic with subtle rustic touches. 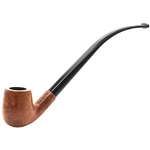 This is a very nice 9mm churchwarden for tobacco smoking or to add to a collection. Produced and imported directly from Germany this solid bowl Churchwarden Briar Pipe is made from professional grade, brand name briarwood which ensures a quality smoke. This pipe is stamped "Germany" along with the makers mark on the side of the shank. The black sturdy Vulcanite stem offers long lasting durability. 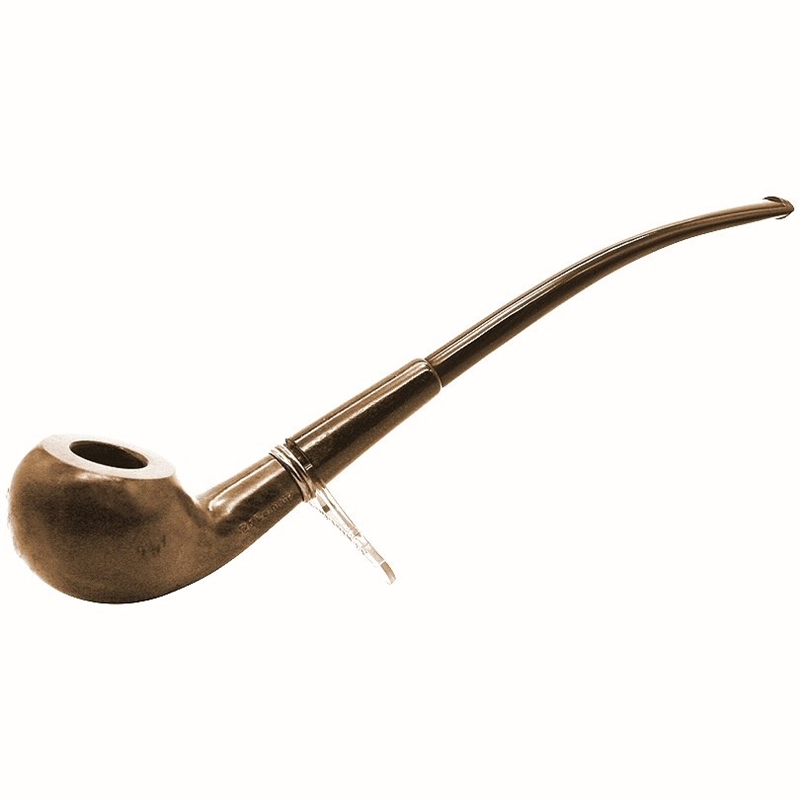 In addition, this churchwarden briar pipe comes with a black cloth drawstring pouch making it a nicely affordable set.